Asbestosis (also known as pulmonary fibrosis and interstitial pneumonitis) is the result of prolonged exposure to asbestos particles, resulting in damage and scarring to the lungs. This scarring in the lungs makes breathing very difficult, and restricts oxygen from entering the bloodstream. Asbestosis typically effects those exposed to Asbestos Fibres in their workplaces, prior to Australia Ceasing to use Asbestos in construction in 1980. In America alone, Asbestosis is responsible for 1000 deaths annually. There is no cure, but by recognising the symptoms of asbestosis and intervening early, it can be managed. Shortness of Breath: Breathing isn’t satisfying your needs, air hunger, tight chest. Tightness in Chest: Tightness, squeezing or heavy crushing pain. Persistent Dry Cough: Regular coughing, dry coughs are NOT chesty or wet. 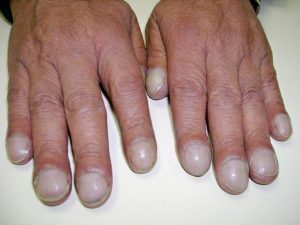 Finger & Nail Clubbing: Swelling of the fingertips. If you are experiencing any of these symptoms, consult your doctor. 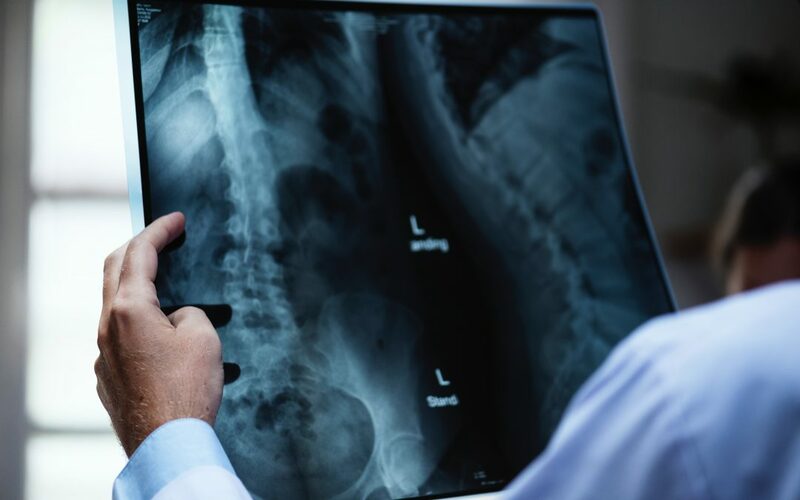 They will conduct a number of tests, exploring your symptoms and forming a diagnosis.These symptoms are not solely reflective of Asbestosis, so while doctors will explore this as a potential diagnosis, there are a number of other possibly diagnoses too. Typically, doctors will conduct a physical exam, using a stethoscope to listen for abnormal breathing. X-rays may be ordered where doctors will look for abnormal marks in your lungs or chest, typically white, and honey comb looking. Doctors may also test the level of oxygen being transferred to the blood stream. There is no cure, however recognising the symptoms of asbestosis, can lead to treatments that can manage it. This could include inhalers to break up and reduce any congestion in the lungs, oxygen masks to assist with breathing, and in some severe cases where applicable – lung transplants. If you have been exposed to asbestos, visit your doctor for regular checkups and x-rays to stay on top of the symptoms of asbestosis. Ensure when working with asbestos, you wear all appropriate safety gear including eye masks, face masks, and gloves. If you find asbestos, consult a professional asbestos removal service for advice and a free removal quote. It doesn’t hurt to ask.